Date Night Style: Pair Your Look with the Perfect Accessory — Wish Supply Co. Dating is an adventure that can be fun yet nerve-racking at times, especially if you are meeting someone new! You’ve got your outfit on and makeup all done, but then it comes down to the big question… “What do I bring?” Choosing the right bag for your date can be tricky, we’ve all been there. We've got some great options that will be spacious enough to fit all your essentials, but not so chunky that it might end up a burden to carry around. Lucky for you, Good Things Are Happening. 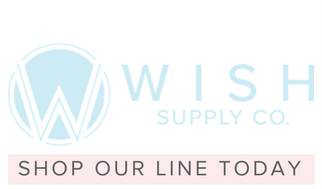 Wish Supply Co designs a variety of accessory options for the perfect date night! You are going to absolutely fall in LOVE with our wristlets and crossbody purses As if that wasn’t already exciting enough, with all of our products we include our company's positive affirmation on them: Good Things Are Happening. We believe in the power of positive messaging and some days, it’s nice to have a reminder at hand (literally ;), especially when on a date. Listed below are a few of our go-to handbags that’ll make a good date, GREAT! Our slim zip top wristlet is roomy enough to carry your daily essentials and keep you organized. This sleek look will look great with any outfit and at any occasion! You can't go wrong with any of these choices! Available in more than just the above hues, our clean, sleek designs combined with 100% high-quality leather creates a staple piece for any wardrobe. Be sure to stop by and SHOP our newest products.